Sulky-Sampler 12 Wt. Cotton Petites. Perfect for hand embroidery, applique, quilting, cross stitch, bobbin work and more! One strand of 12 wt. 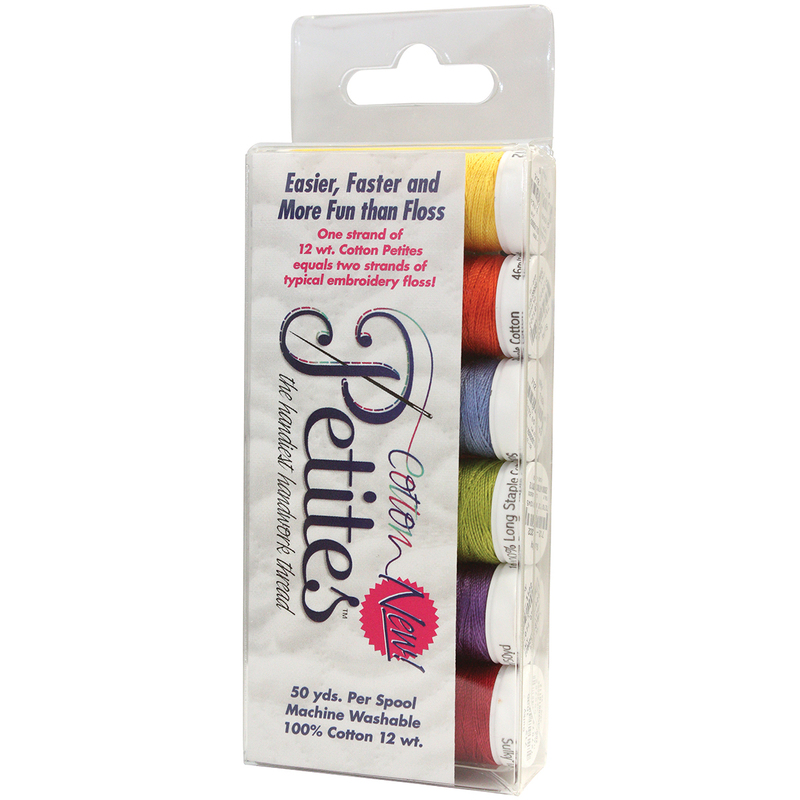 cotton petites equals two strands of typical embroidery floss! This package contains six 50 yard spools of 100% cotton thread in six different colors. Machine washable. Comes in a variety of assorted colors. Each sold separately. Imported.